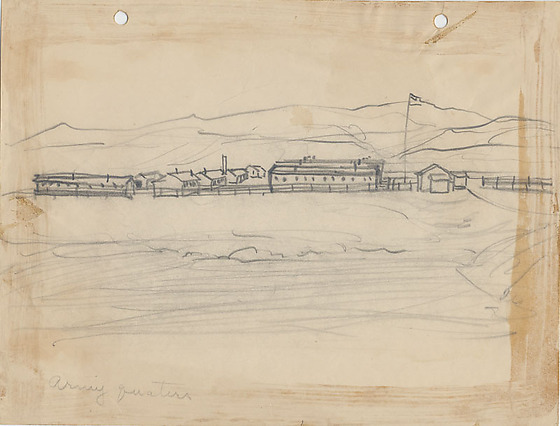 Pencil drawing of Army quarters. Broad expanse of field in foreground. Fences surround barracks ; a flag flies at top of flagpole on right. Mountains in background. Two holes punched along top. 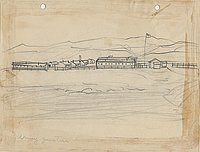 Written in pencil, bottom left corner: Army quarters.